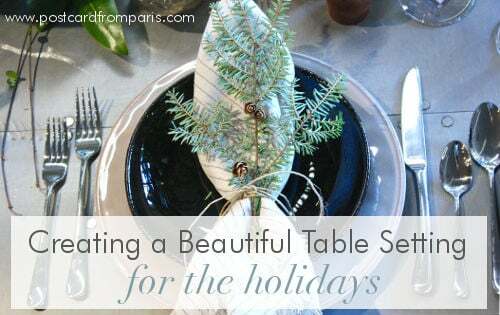 Here are a few practical tips and pieces of advice for how to create a beautiful table setting for the holidays. There's no need to go out and buy a bunch of seasonal decor to create a beautiful table. Your backyard and the outdoors are great resources for inexpensive decor. For example, you could spread magnolia, fir, or cedar leaves throughout your table or as part of your centerpiece. Or, you could spray paint some freshly fallen leaves to match your color scheme and add beautiful texture and interest to your dining table. Adding candles to your holiday table is an effective way to set the mood and create a lovely ambiance. Depending on the type of accessories and arrangements you plan to use on your table, you can incorporate candles in various ways. 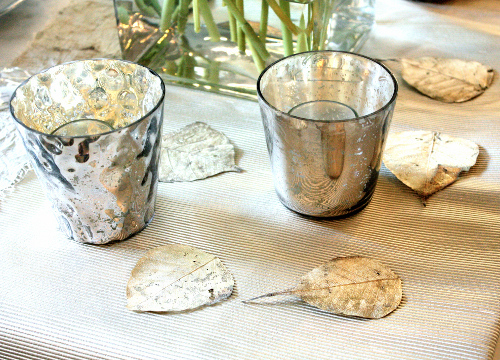 Placing several votives throughout the center of the table or using tall and skinny candleholders, like these mercury silver glass ribbed candleholders, can add sparkle and glamour to your Thanksgiving feast. When creating a beautiful thanksgiving table, it's important not to forget to add interest and decor to individual placesettings. 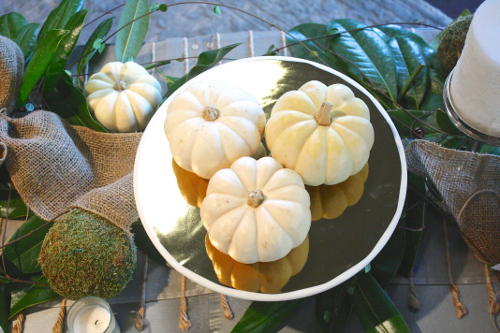 Dress up your everyday dinnerware arranged at each seat with simple white pumpkins, fresh greenery or gorgeous napkin rings. Also consider adding simple placecards at each setting to make guests feel special. These simple additions can enhance the overall look of your table. Another way to create interest and a truly stunning tablescape is to layer your dining table. If you wish to show off the beautiful peice of furniture that is your table, adding a simple table runner is one way to create a layered look while allowing your dining table to stand out. If your dining table is one you wish to hide from guests, consider adding a beautiful tablecloth that will enhance your various placesettings, decor and accessories and give your table an elegant layered look. Who says you have to use all the same pieces from a particular dinnerware collection for your table setting? Mixing in different pieces and colors and different dinnerware can create a unique look. If you don't have enough placesettings from one collection for the number of guests coming to your Thanksgiving dinner, there's no need to go out and buy more placesettings for just the one occasion. Mixing bowls from one collection with plates from another not only creates a layered look for each individual placesetting but also gives the table an eclectic and comfortable vibe that will make guests feel at home. 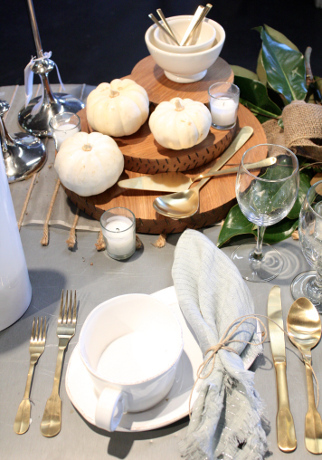 What's one element or accessory you love to use for your Thanksgiving table setting? 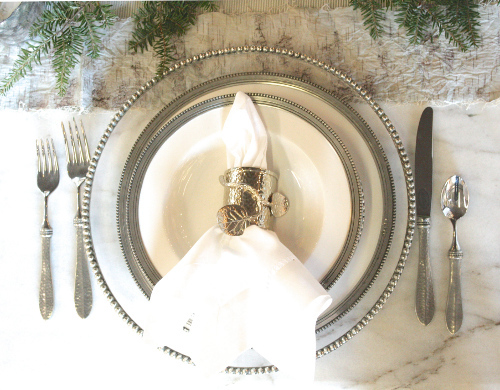 For more advice and tipson creating a beautiful table setting for your upcoming holiday meal, download these five additional tips from our design team.